Microsoft’s dramatic decision this weekend to withdraw its offer for Yahoo and not pursue a hostile bid raises a whole host of questions. What happens to Yahoo now? What happens to Microsoft? Or is this just a tactic to drive down the price of Yahoo’s shares so that Microsoft can go hostile with a lower offer? And if the deal really is dead, does Steve Ballmer need to start looking for a new job? This last question may not be so hypothetical. Ballmer has been the big driver behind this deal at Microsoft—some would say to the point of obsession. After the disaster that has been Windows Vista (Microsoft’s core product), Ballmer may have realized he needed to redeem himself in the eyes of Microsoft’s board. And the “transformative” deal with Yahoo was the way he was going to do it. 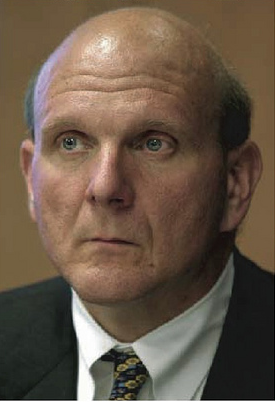 One reading of Ballmer’s obsession with the deal is that he felt his job was on the line if he didn’t get it done. According to one secondhand account that leaked to us yesterday before the deal was called off, over the past week Ballmer increasingly has been “yelling and screaming at employees for almost no reason” and is being “more of a tyrant than usual.” One executive on the Microsoft deal team supposedly made a comment about “not having to worry about Ballmer anymore” if the Yahoo deal fell through. What the exec didn’t know, though, was that Ballmer was in earshot, and he screamed back that the deal would go through and that he wouldn’t let the board “crucify” him. As things stand, the fact that Ballmer was not able to close the deal could put his job in jeopardy. The big questions are: If he really does walk away, can he put this distraction behind the company? Or is it too late for Ballmer? If Microsoft’s board loses patience with him, it might have to ask Blll Gates to temporarily come back as CEO until it finds a replacement. After all, Ballmer has already made a strong and convincing case for why Microsoft needs Yahoo to make its online and advertising strategy work (it needs the scale of Yahoo’s display and search advertising inventory to compete with Google). It is not clear how it can achieve its objectives on its own or through other acquisitions. Maybe Ballmer backed down because he realized the deal was becoming too big of a distraction and he didn’t want to drag it out further given Yahoo’s continued resistance. (And save his job in the process). Or perhaps he thinks he can still get it done by making Yahoo’s stock price collapse and come back with a hostile offer. (After all, if you are going to go hostile, you’d want to drive down the stock price of the target company to make your offer look even more attractive to shareholders). We’ll find out later this week. Does the Collapse of the Yahoo Deal Mean the End of Steve Ballmer’s Career? Yes, the board will ask him to leave. No, he saved himself by walking away.